We have been very fortunate to have had some dry weather and folks have picked a lot of cotton and combined a lot of soybeans the last couple of weeks. The first 2 weeks of November were tough. The weather has caused problems for small grains. 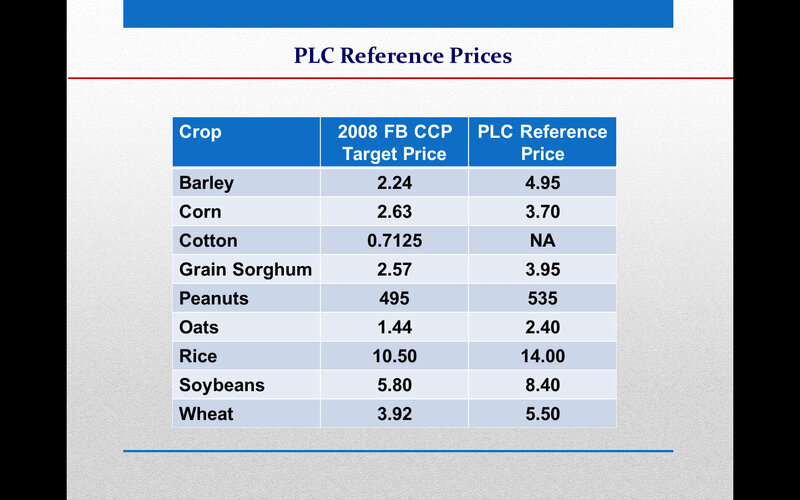 See my related post, Small grains look bad. 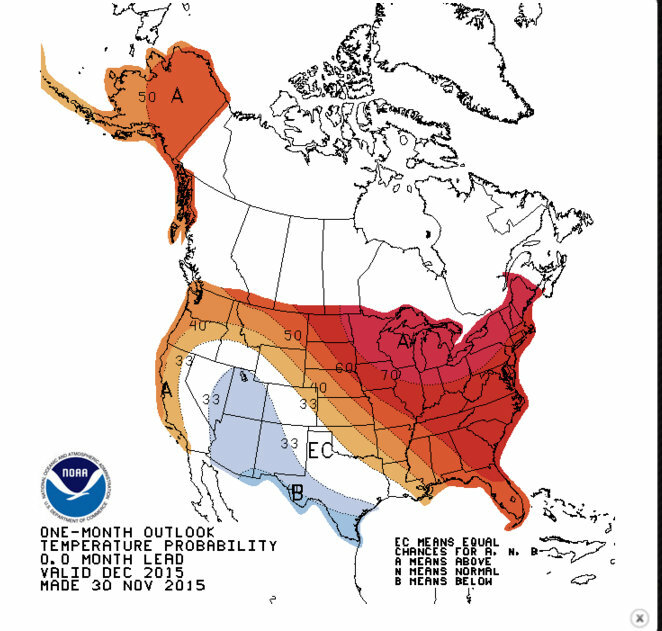 The latest climate outlook from NOAA’s Climate Prediction Center is out and shows that for the Southeast, December looks like it has a good chance to continue to be wetter and warmer than normal. 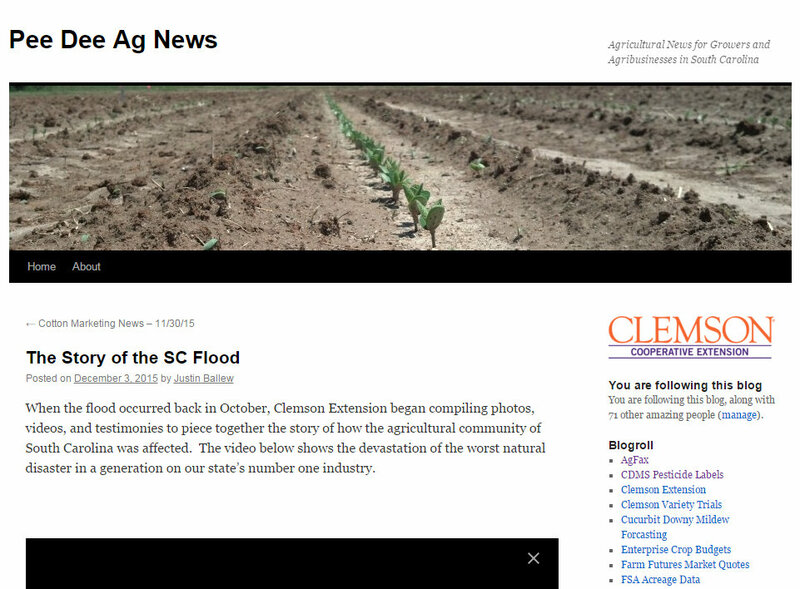 Go to UGA’s Pam Knox’s Climate and Agriculture in the Southeast Site for more information. 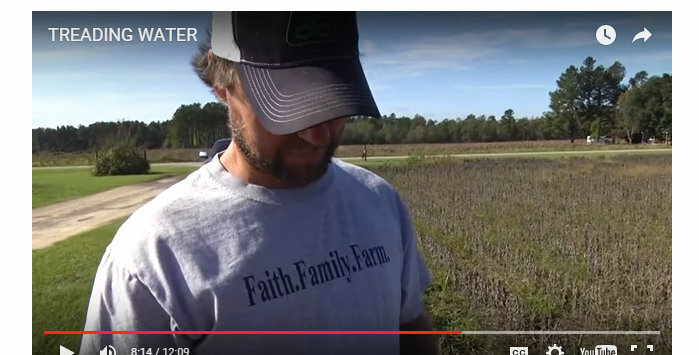 South Carolina county agent, Justin Ballew, has a great video on his website about the farmers perspective of the South Carolina flood this past fall. Click here to go to his blog and the video. 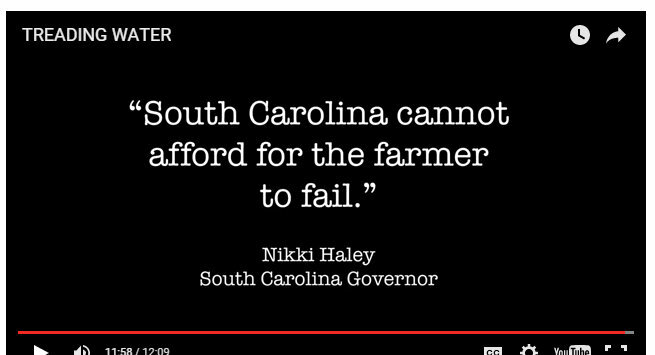 It has several farmers and other ag leaders telling the story and some good video. One thing that was said is that the loss was over $400 Million. Also there were 3 strikes against agriculture in SC this year, 1. 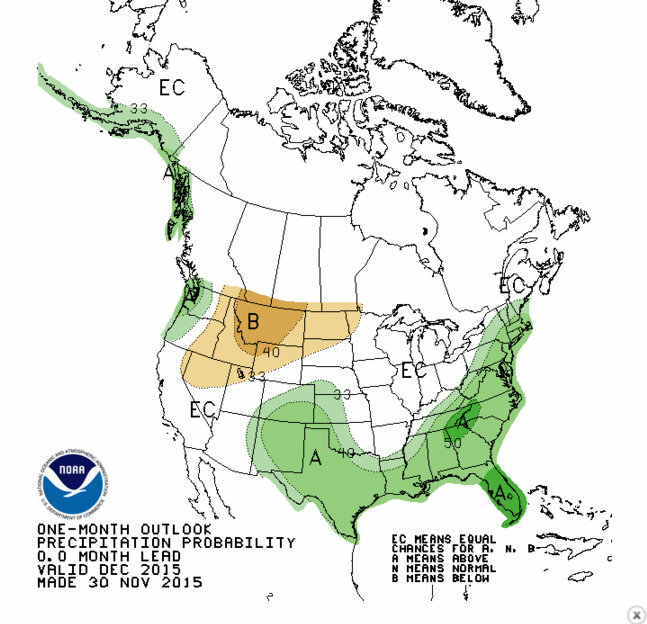 Low commodity prices, 2.Drought and then 3.Rain and flooding and rain again. I pray that things will go better for the growers there and growers all over who are facing tough times. NRCS representative, Anita Tabb, here in Donalsonville, reminded me that 2015 is the “International Year of Soils”. The soil that God created is a miraculous thing. It’s what plants grow in. Someone the other day said, “Most food comes from plants”, yes, but really all food comes from plants or animals and organisms that eat plants. Those plants mostly grow in soil. My ABAC College professor, Mr. Sibbett, said “Dirt is what’s under your fingernails, soil is where plants grow.” I still lovingly call it dirt sometimes. Here’s a good general 2 minute video about soil. We have four agricultural production meetings planned here in Donalsonville. We will meet at the Lions Hall for these educational programs. Go ahead and put these on your calendar and we look forward to seeing you there. 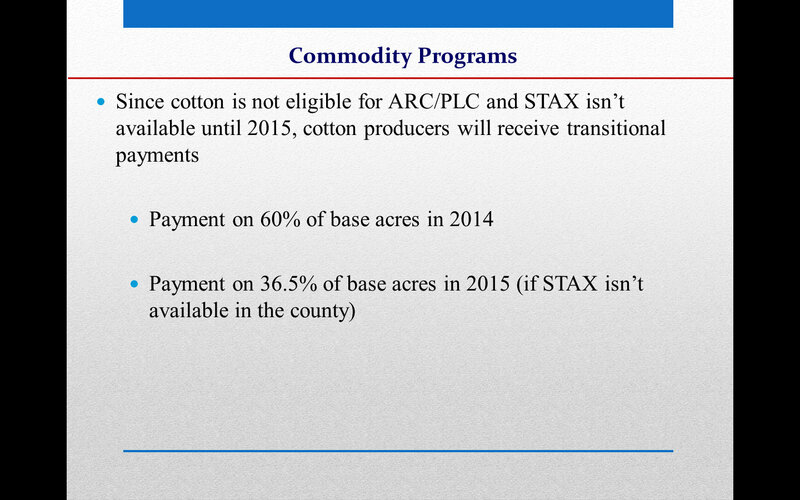 Pesticide applicator credit will be given. 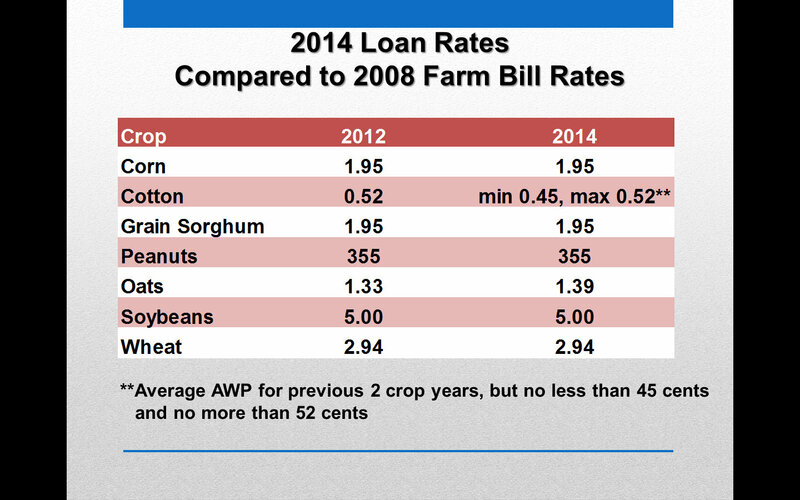 It looks like 2015 will be a tough year for row crop prices. UGA Ag economist Nathan Smith says 2015 may be a “gettin-by year”. Here’s some news from UGA. “It’s not as rosy a forecast for row crops as we’ve had in years past,” said UGA Extension agricultural economist Nathan Smith. For peanut growers, the news is especially grim as prices could fall even more as acreage is expected to increase in 2015, Smith said. “This year is more of a getting-by year, in terms of cash flow. The outlook isn’t as bright for row crops,” he said. “I think, in 2015, cattlemen will be looking at pretty similar prices to what they had this past year, depending on when they sold. Last year we started off the year somewhere around $1.80 per pound for a 500-pound calf. That market today is almost $2.75. You’ve seen almost a $1 increase in a year,” said Curt Lacy, the Extension livestock economist based on the UGA campus in Tifton. Farmers who sold their stock in January or February of 2014 are going to receive a much better price this year, he said. Lacy expects prices to remain high, which is good news for cattlemen in Miller, Colquitt and Early counties. Those three south Georgia counties finished in the top 10 in farm gate values for beef cow production in 2013, according to the UGA CAED, joining Morgan, Madison, Carroll, Wilkes, Franklin, Jackson and Coffee counties. “I think, in general, this is about where we’re going to be for the next year or two,” Lacy said. 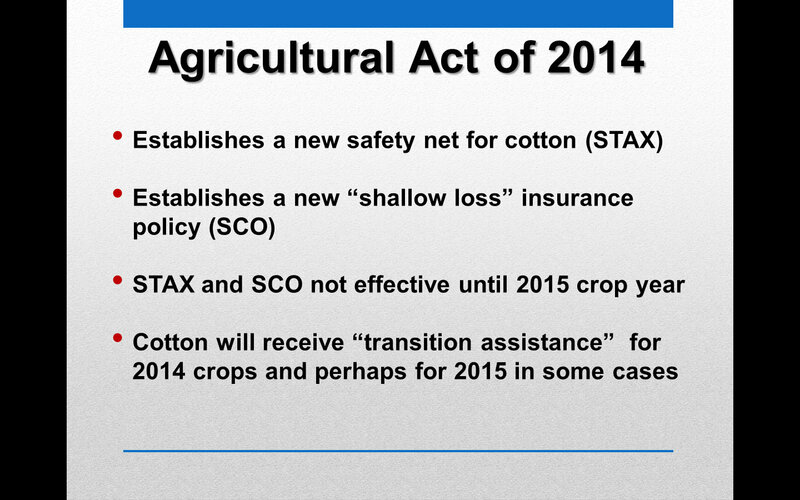 These and other issues will be discussed at the 2015 Ga Ag Forecast meetings across the state. Our closest will be in Bainbridge on Jan 16th. You can Pre-register now. 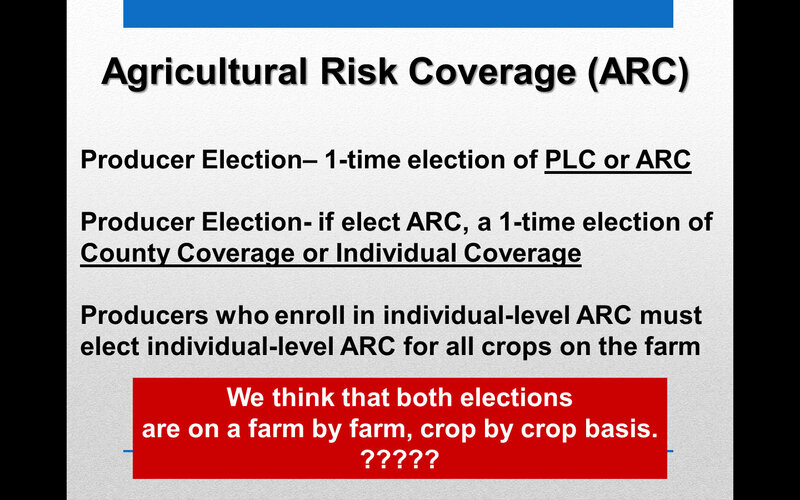 Secretary of Agriculture Vilsack announced on September 26th the availability of the ARC/PLC web-based decision tools. He later announced that farm owners may begin to update their yield history and reallocate base acres through their local Farm Service Agency (FSA) office. 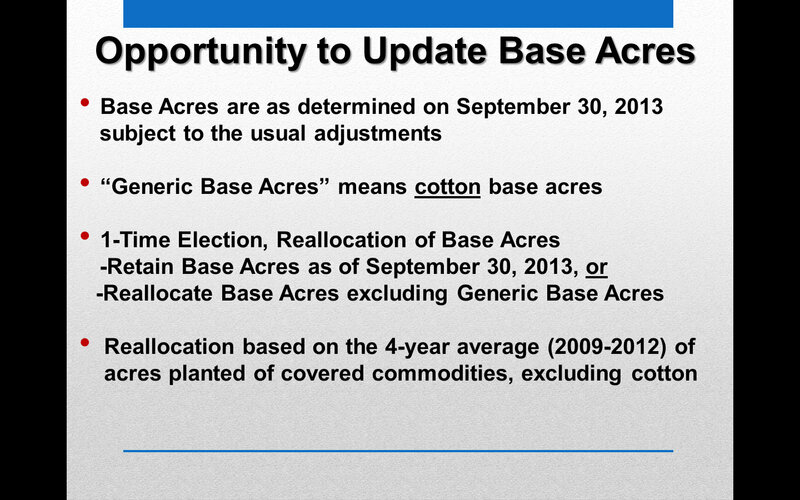 In addition, the timeline for landowners and producers to make decisions regarding reallocating base acreage, updating program yields, ARC or PLC program election and program signup has been announced. 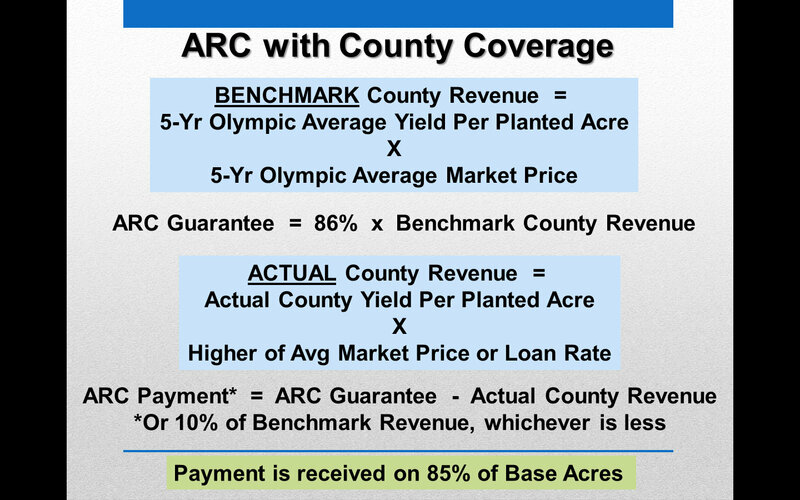  September 29, 2014 – February 27, 2015: Owners have a one-time opportunity to reallocate the farm’s base acres or update yields. 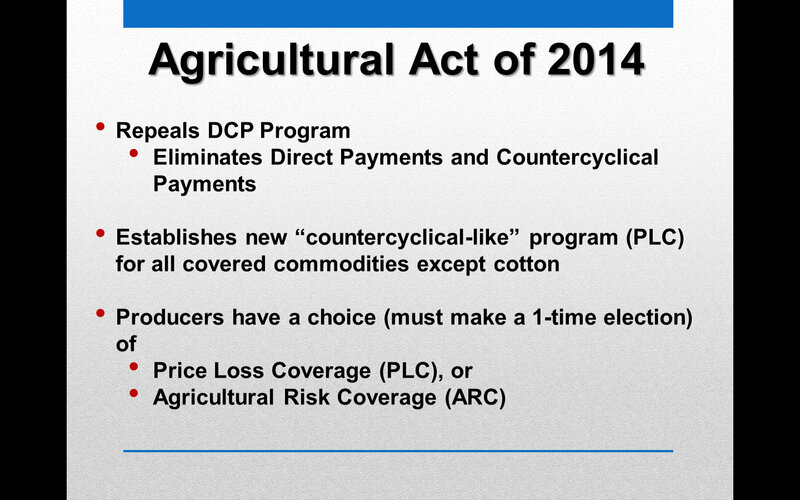  November 17, 2014 – March 31, 2015: Producers make election which will remain in effect for the 2014-2018 crop years, of the following: 1) PLC or ARC County on a covered commodity-by-commodity basis; or 2) ARC Individual for all covered commodities on the farm.  Mid-April 2015 – Summer 2015: Producers sign contracts to participate in ARC/PLC for 2014 and 2015 crop years. The web decision tools handle base and yield decisions. 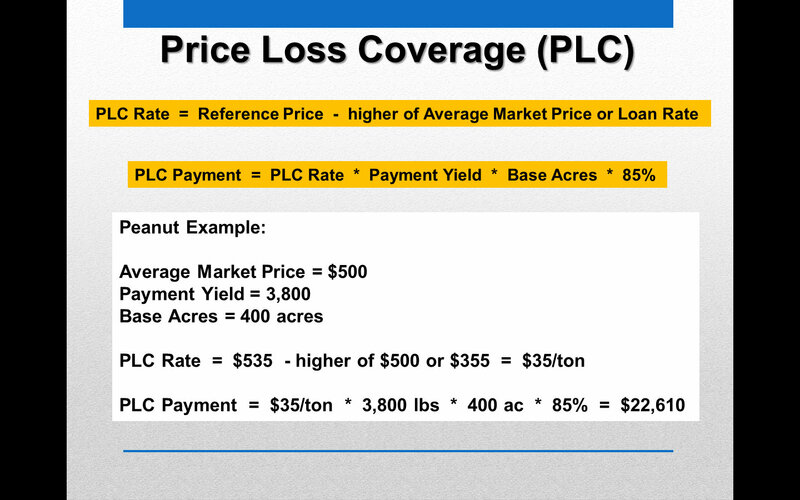 Spreadsheet base reallocation and yield update calculators are available from FSA and the National Center for Peanut Competitiveness. 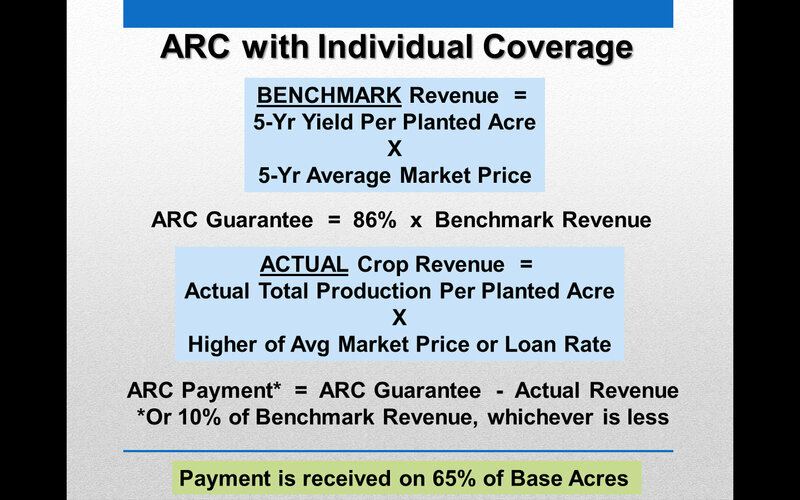 A simple base reallocation spreadsheet from USDA Farm Service Agency that uses farm serial number is posted at: http://www.fsa.usda.gov/arc-plc. 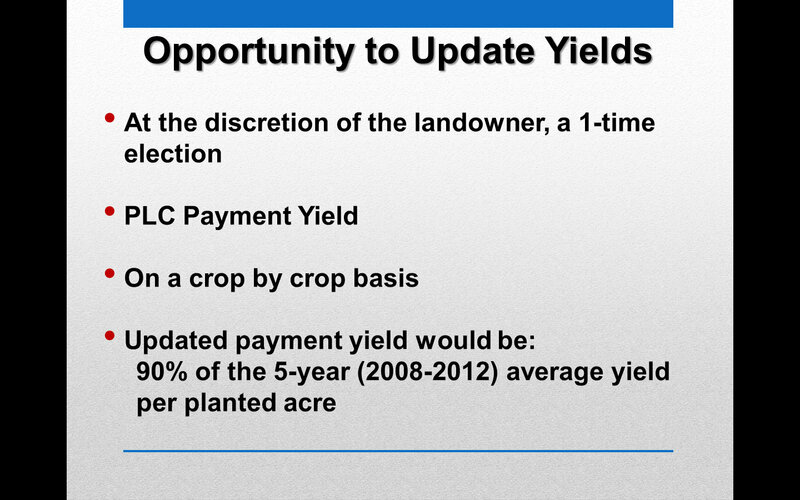 Download the Preliminary Base Acreage and Payment Yields Decision Calculator below. State FSAs are in the process of training their staff on the ARC/PLC program. Each state Extension will be working with the Farm Service Agency and other cooperators and supporters on statewide meetings for landowners and producers. Landowners and producers have time to analyze their decisions. The best thing they can do at this time besides getting the crops harvested is gather production history, including crop insurance records, going back to at least 2008 or ten years if possible. It’s has been a wet April and it’s just the 18th. Our normal rainfall for the whole month is 3.8 inches and usually 2.5 by this point in April. But this year we have received 11.25 inches and there’s more coming today. It has slowed field operations considerably. 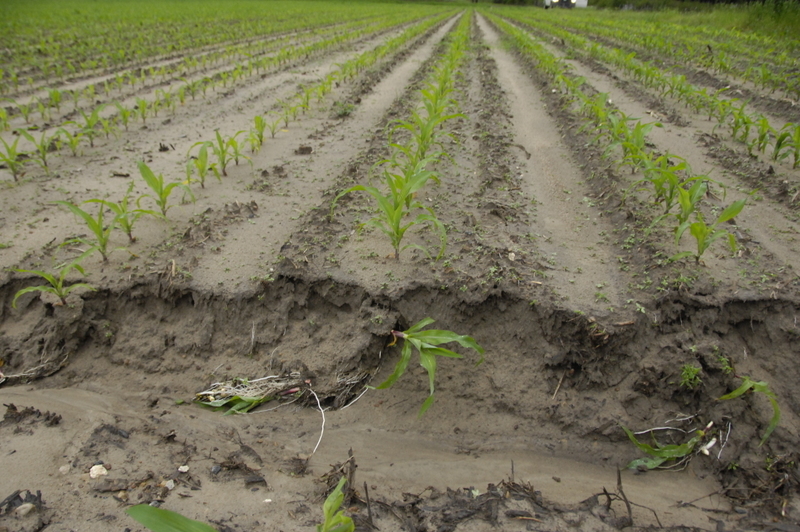 Also, we have seen a good bit of erosion in fields and some damage to crops that are up such as corn and snapbeans. We had some of the fastest falling rain I have seen when we received 4.88″ of rain in an hour and 15 minutes on April 7th. Here are some photos of problems. 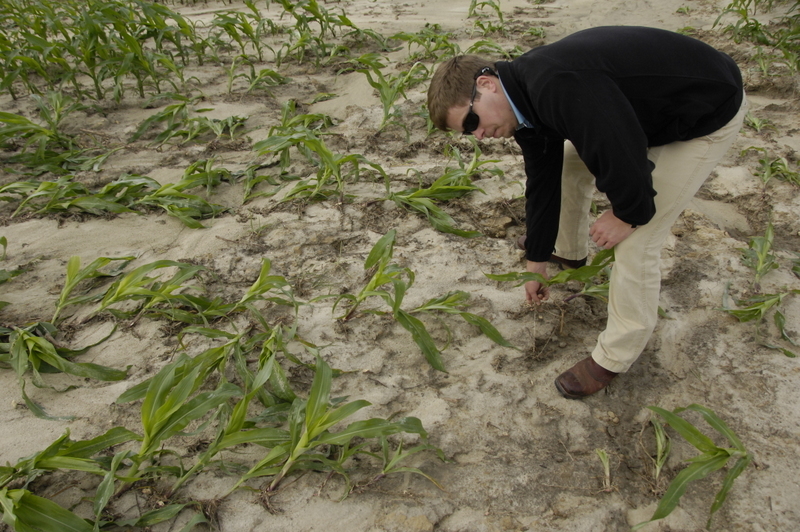 Mitchell county agent Andy Shirley and I were checking out this corn that was washed badly recently. 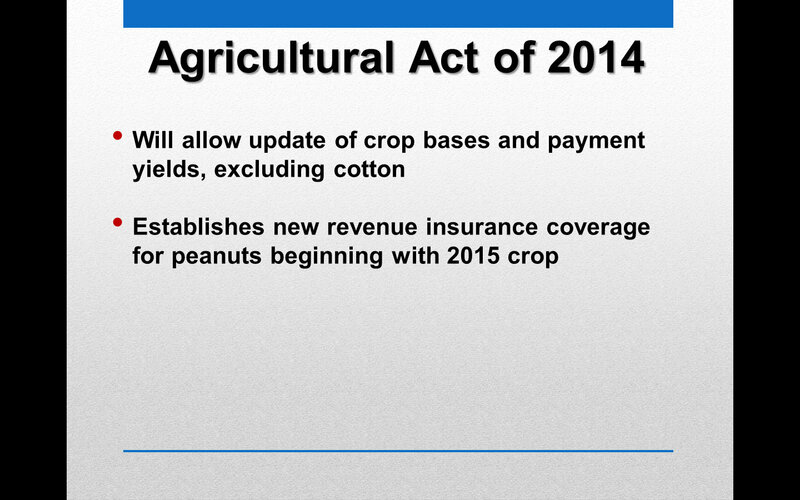 Here’s some preliminary information concerning the 2014 Farm Bill, put together by UGA Extension Ag Economists, Nathan Smith and Don Shurley. 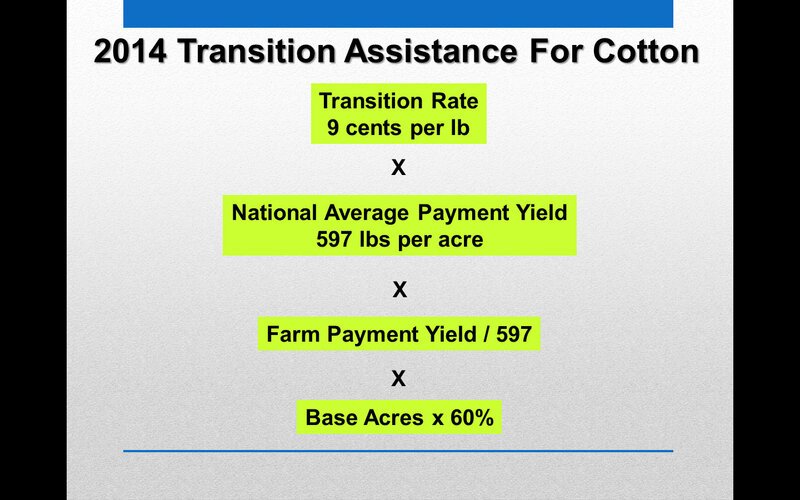 It’s time for our Ag Forecast for 2014. 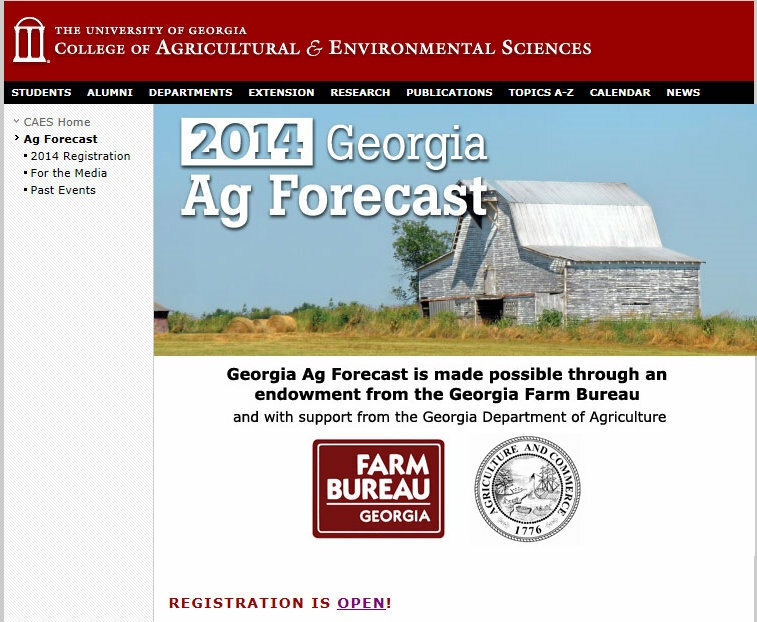 The University of Georgia College of Agricultural and Environmental Sciences, Georgia Farm Bureau and the Georgia Department of Agriculture presents the Georgia Ag Forecast every year. In each session, UGA Ag Economics faculty will give an overview of the upcoming year. Participants will leave the meeting with a preview of the upcoming year and a copy of the Ag Forecast Book, which provides a detailed analysis of each major product produced in Georgia. 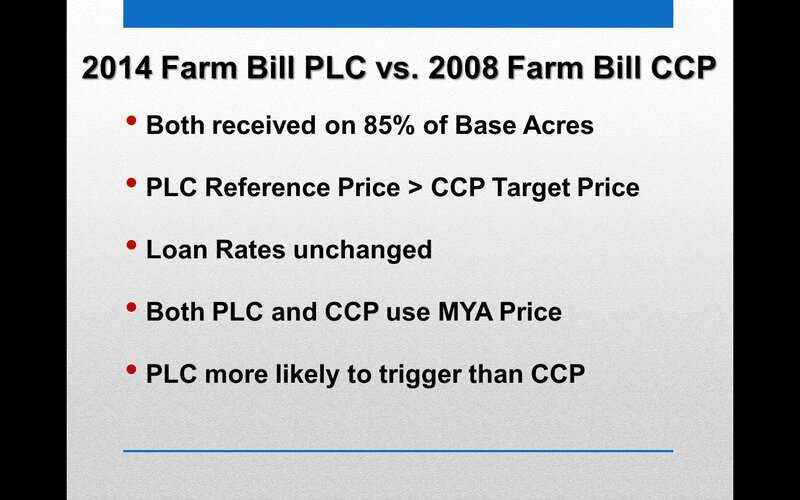 Also this year the topic of farm succession planning will be explored. Have you thought about the future of your business? What happens if none of your children want to take over the farm? These concerns and more will be addressed by our keynote speaker, Will Thompson. Thompson, a Macon attorney, will speak about farm succession planning and offer advice for farmers and agribusiness owners. Check-in at 7:00 am with breakfast line opening at 7:30. Seminar follows from 8:00 – 9:30 am. ATHENS, GA, November 14, 2013 – Are you a USDA farm program participant planning on clearing, draining or manipulating land for agricultural use? 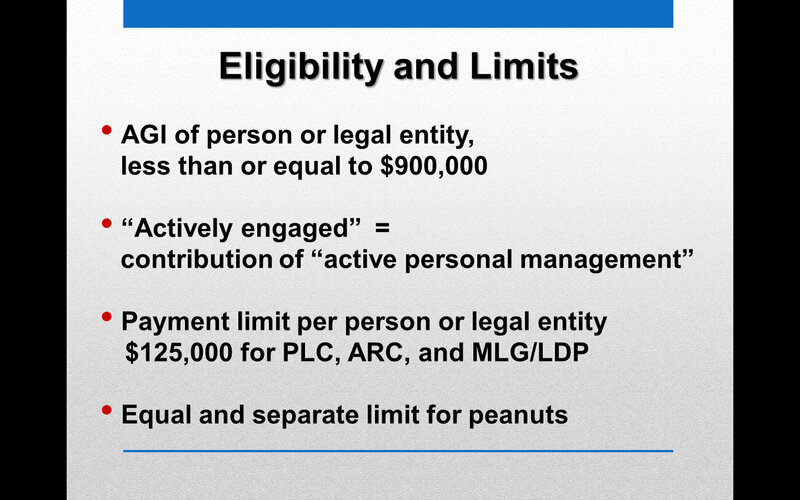 If so, you may want to read the following information that can affect your eligibility. The wetland conservation compliance provision was first introduced in the 1985 Farm Bill to discourage the production of agricultural commodities on converted wetlands after 1985. The rule requires that people who convert wetlands to allow production of agricultural commodities will be ineligible for USDA farm program benefits until the functions of the converted wetlands are mitigated or restored. The rule provides protection for those producers who produce commodities on wetlands providing that the wetlands were historically in production prior to 1985 and production was still possible in 1985. In addition to the Farm Bill’s wetland provision, wetlands may be under further jurisdiction of other laws such as Section 404 of the Clean Water Act which is administered by the U.S. Army Corps of Engineers (USACOE). USDA producers should also contact the USACOE if they intend to conduct any activity that constitutes a discharge of dredged or fill material into wetlands or other waters, prior to starting the work. Because the laws and regulations regarding wetlands are just as variable and complex as wetlands themselves, it is in the farm program participant’s best interest to seek guidance before impacting an area that has the potential to meet wetland criteria. USDA program participants are encouraged to visit their USDA Service Center’s Farm Service Agency (FSA) office and complete an AD-1026 form prior to any clearing activity. 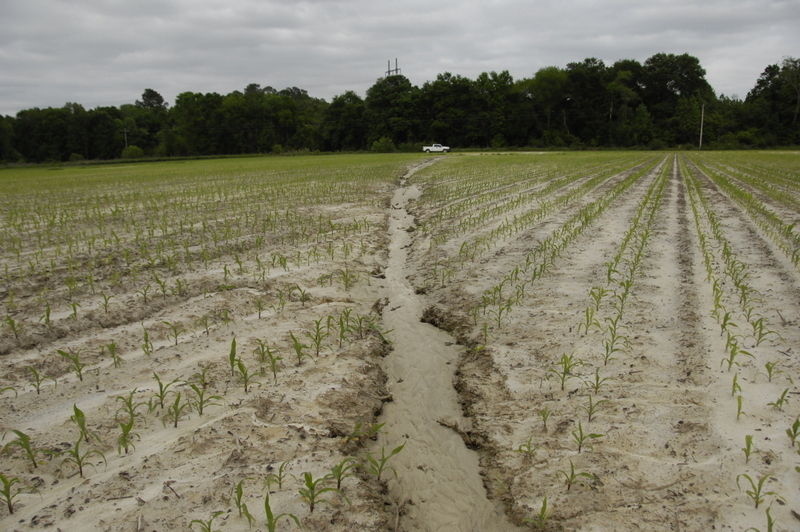 In order to further assist USDA farm program participants in understanding wetland conservation compliance, the NRCS has published a brochure entitled Wetlands and Conservation Compliance: WHAT EVERY GEORGIA FARMER NEEDS TO KNOW. This brochure is available free of charge at local USDA Service Centers throughout the state or available electronically for download at http://www.nrcs.usda.gov/wps/portal/nrcs/main/ga/programs/farmbill/. You may find your local USDA Service Center office in the government listings or in the white pages of your phone book under “U.S. Government Department, Agriculture, Department of,” or by visiting http://offices.sc.egov.usda.gov/locator/app.